Eddie Izzard is to pay a series of intimate gigs in London’s Bill Murray pub, the venue has announced. A 6ft portrait of the comic has graced the outside of the venue since it opened two years ago, alongside the likes of Richard Pryor, Charlie Chaplin and Rowan Atkinson. Now Izzard is to play eight gigs in the pub’s dedicated comedy space, which seats fewer than 100 people, performing two shows a night on November 19, 20, 21 and 22. 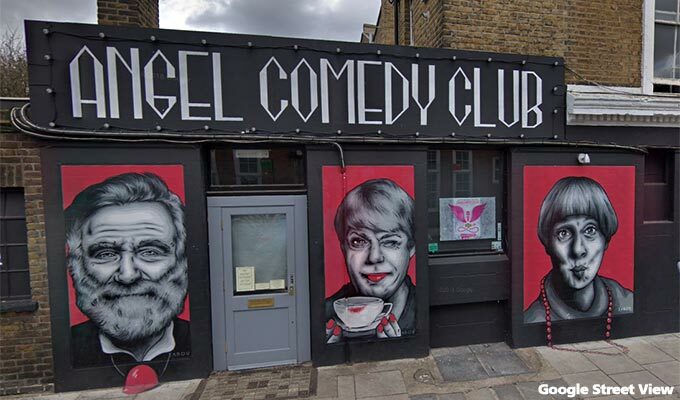 The venue officially opened in Islington two years ago next week, after more than 1,000 comedy fans contributed to a crowdfunding campaign run by the Angel Comedy Club. It is not named after the Hollywood funnyman, as the comedians behind the venue were unable to get his explicit permission – which is needed if you are to name a pub after a living person. Instead, it is named after William Murray, the first Earl of Dysart, who was the childhood whipping boy of Charles I of England and later, an adviser to the king. Tickets for Eddie Izzard, and all the other shows at the venue, are available here.